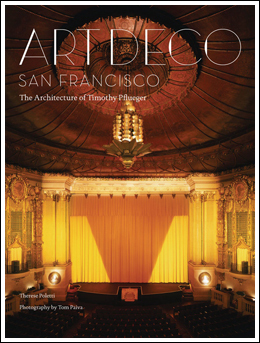 Well, it’s about time San Francisco got recognized in print for its treasure trove of Art Deco architecture, and the many fabulous designs of Timothy Pflueger. After the 1906 earthquake, many of his contemporaries looked to the Beaux Arts tradition to rebuild the city, but Plueger took his inspiration from Mayan, Egyptian and Spanish forms and designed buildings that looked forward to a new golden age in the city. His most famous works include the Castro Theater, the SF Stock Exchange, the Oakland Bridge and the World’s Fair site, but we get to see the full range of his creations. The informative text paints a picture of both the city and the artist, and is richly illustrated with archival black and white and contemporary color photos, drawings and period graphics. 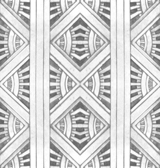 256 pages, HC, 9” X 12".